Since his early beginnings behind the decks in 1996, Sydney based Kid Kenobi has steadily risen to his current place as the busiest DJ on Australian shores, now widely regarded as the home of the most booming breaks scene in the world. 2002 & 2001 saw him take the award for the Australian DJ of the Year, and in 2001 he also took home the award for People's Choice NSW DJ of the Year at the Australian Dance Music Awards. A great feat for not only Kid Kenobi as a DJ but also for the ever growing breaks community in Australia. Kid Kenobi and Kelli Prieur Lululemon ambassador, present SOUL STEPS at South Coast Soul Festival. 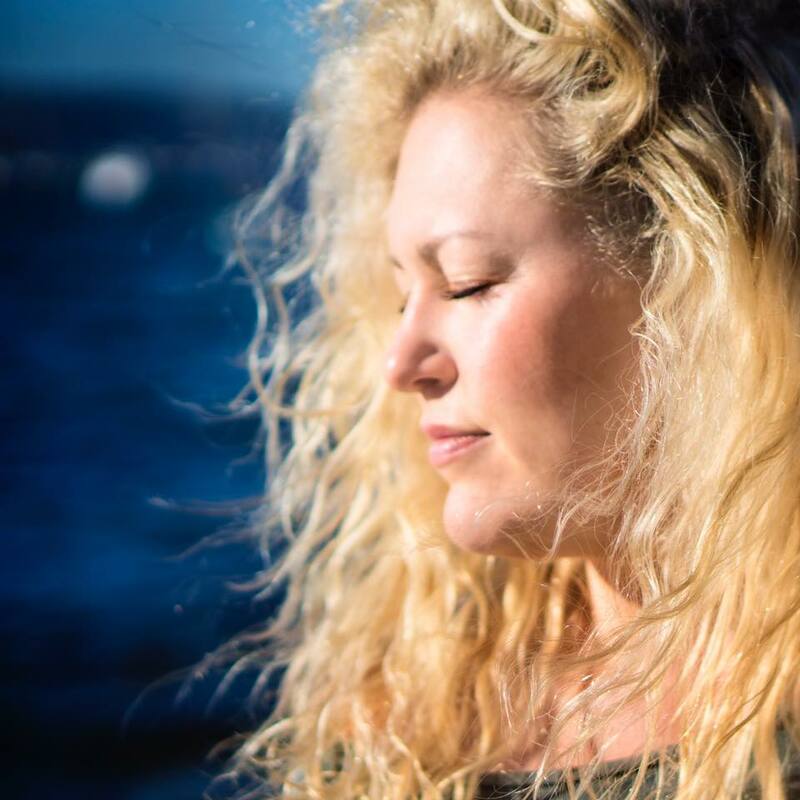 Kelli owner of Heart Glow Yoga has a beautiful way of being able to bring you closer to your heart and align in you a way of being of true service to your body. Kelli provides SOUL STEPS a slow flow yoga class to Kid Kenobi's inspired DJ set bringing calm to your mind, energy to your body as well as rhythm and focus to your practice. VanderAa have just come off a world tour, a stand out highlight in their careers. Headlining a festival in Italy, performing at Burning Man in America and are apart of filming the documentary ‘The Meaning of Vanlife’. Guided from Australia to Burning Man, VanderAa helped facilitate a global drumming ceremony with the first nation people. Our camp ‘Red Lightning’ hosted 30 indigenous elders where we came together with over 500 drum circles from Peru to Nepal to Iceland to Mexico and over 1 million listeners online. The biggest drum prayer in history. Earmarked as one to watch from an early age, Karuah (aka: James Lange) has carved out his own genre within the sounds of today’s musical realm. Driving and hauntingly beautiful, his music couples magically complex riffs, soulfully ethereal vocals and a disregard for the typical 3-4 minute long song, to take the listener on a journey into another world over the length of his set. Erfan Daliri is a social animator, performing artist and agent of social change. With a post-graduate diploma in Communication for Social Change and over 15 years experience in community development, youth work, and social change consultancy, he now spends his time inspiring and empowering his audiences to live more fulfilling and intentional lives. Liam Maihi is a talented self taught musician and one of Australia's favorite contestants from The Voice Season 4. Influenced by the likes of Matt Corby, John Mayor, Bob Marley and Bon Iver. Opening the audience up to a new perspective on martial art as it is enhanced by the sacred flame. Be prepared to watch as the element of fire brings forth some serious energy! If James Brown and Roger Sanchez had a baby, that baby could be Mr Meez. Loving working with the smooth grooves, but to a beat that makes you want to let your beer get warm, your hair get messy and make some holes on the dance floor. Not a stranger to scene, Mr.Meez has been in the game for a long time. Journeying through many genres and having played many clubs, festivals and events all around the country, Meez has supported international superstars and local legends of all kind. Meez is known on the South Coast of NSW as one of the pioneers in the DJing scene and still has a strong connection to the coast. After a near 7 year residency with Candys Apartment, some down time and some family time, Meez has returned to his roots and can be found these days spinning up Funk, Soul and Bass flavored Nu Jazz and House music. Usually by the side of a pool or in the depths of a winery on the coast . Natalie is the owner of South Coast Soul Yoga Studio in Jervis Bay as well as the Founder of South Coast Soul Festival. Moving each day from her Dharma "I inspire and facilitate the growth of others" Natalie is passionate about sharing the yoga tradition with other's to ignite that inner spark in them that has changed her life so dramatically. Anna completed her yoga teacher training at Brahmani Yoga in Goa, India, with Julie Martin, in 2005. She has since returned to India many times to both teach at Brahmani Yoga and to deepen her own yoga practice. Anna also teaches internationally on Brahmani Yoga and Shakti Spirit, Yoga Alliance teacher training programs in Bali and Goa. She often leads retreats in India, Bali and Australia. Today, Anna’s classes are inspired by her love of dance, movement and music, as well as the joy of tapping into moments of stillness and spaciousness, and really listening to what arises from within that space. Anna is forever grateful for the teachings of Julie Martin, Emil Wendel, Clive Sheridan, and Rachel Hull, who have illuminated her Sadhana with their teachings. She enjoys sharing her understanding and deep love for yoga with others and witnessing the transformation it brings to her students.